The patient is a 59-year-old male who presents with a subcutaneous plaque on the right cheek that has been present for approximately three years. It is neither painful nor itchy. 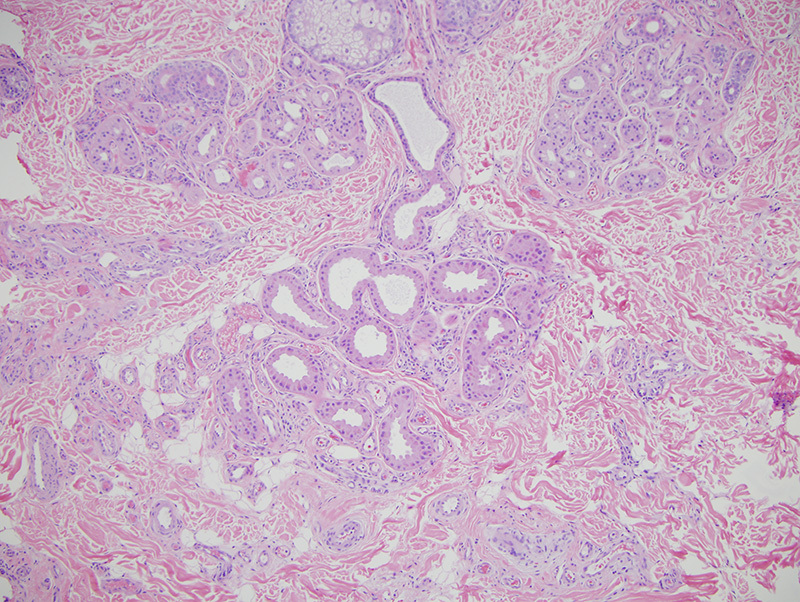 The biopsy was performed of this right nasojugal area / right nasolabial fold plaque.